SOUTH PADRE ISLAND, Texas — It is considered the busiest day of Spring Break by South Padre Island authorities, who had their work cut out for them Wednesday. 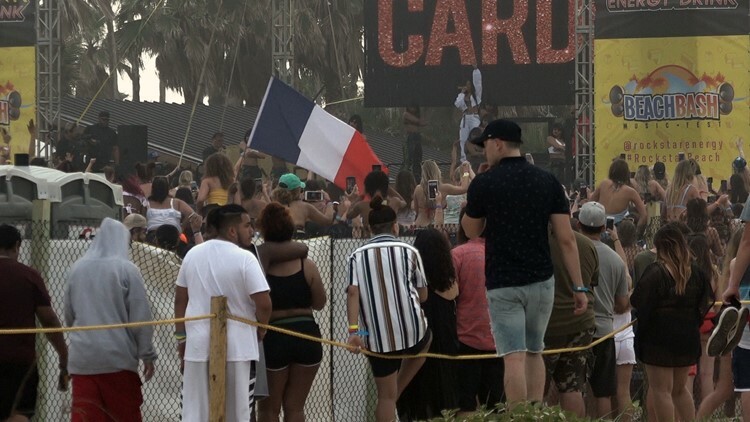 Beach Bash at Rockstar Beach featured a slew of rappers and DJs, including Rich The Kid and Grammy award-winning performer Cardi B. The lineup drew thousands of Spring Breakers from across Texas and other states. As the crowd began to grow larger, so did the presence of law enforcement, including local, state and federal police, life guards, and paramedics. Containers brought to the beach near the event were inspected for glass and any other potential hazards. A group of college friends from Colorado didn’t mind having their cooler searched. Gonzalez and her friends understood the need for police, especially when so many people gather in one spot and alcohol is mixed in with the fun. “They’re here to do their job. So if you’re doing what you’re supposed to do, then there’s no problem,” Ohio Spring Breaker Brandon Rios said. Rios’s buddy, Dustin Hudak, also welcomed the added security. It allows him and everyone else to party safely, he said. “You have to have people here that are ready to protect the community when needed,” said Hudak. And when they’re needed, they’re ready to respond in a flash. “It happens every day that we’re requested, and we step up and make it happen,” said San Antonio Airlife Area Manager Trey Howard. Air medics were hired by the City of South Padre Island during Texas Week in anticipation of 35,000 visitors, which can make it difficult for ground units to respond to an emergency. 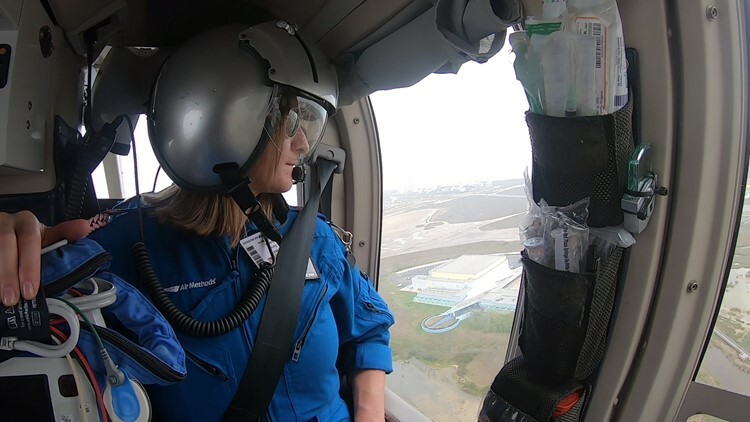 “With the congestion and things of that nature – to get on and off the island – the helicopter really offers that opportunity to get that patient to that level of care and get them in front of the appropriate folks that can handle their needs,” Howard said. The larger presence of first responders and law enforcement is expected during peak seasons like Spring Break, said Interim City Manager Randy Smith. Smith said it’s all in order to keep the show going and have people return to their homes with a good taste of the island.